Jordan Air Jordan 14 Retro "Candy Cane"
The Air Jordan 14 Retro "Candy Cane" will don a white-based leather upper with contrasting red accents on the tongue, heel tab, and midsole. Release date is Apr. 6, 2019 at a retail price of $190. 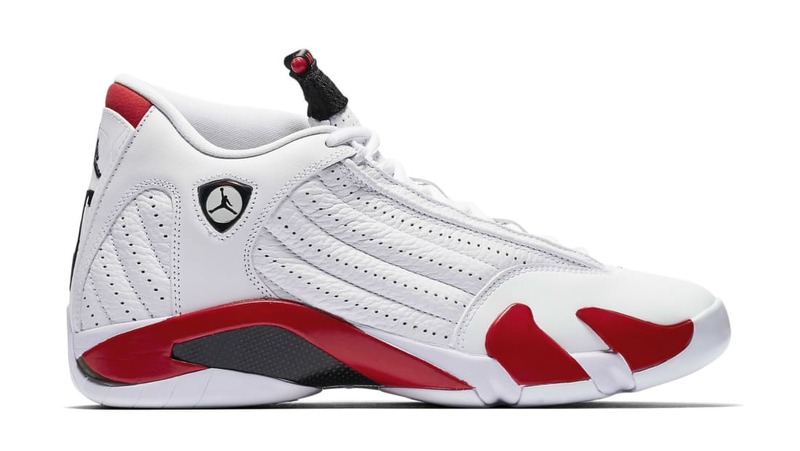 News Air Jordan 14 Retro "Candy Cane"